I’m going to preface this post by saying that this is the cutest but messiest wreath I’ve ever made! 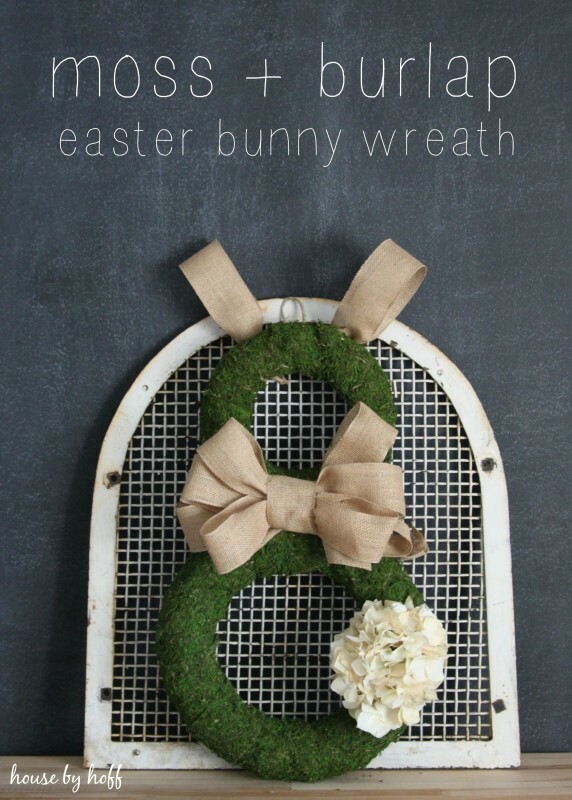 Mess aside, I’m absolutely in love with this Moss and Burlap Easter Bunny Wreath! 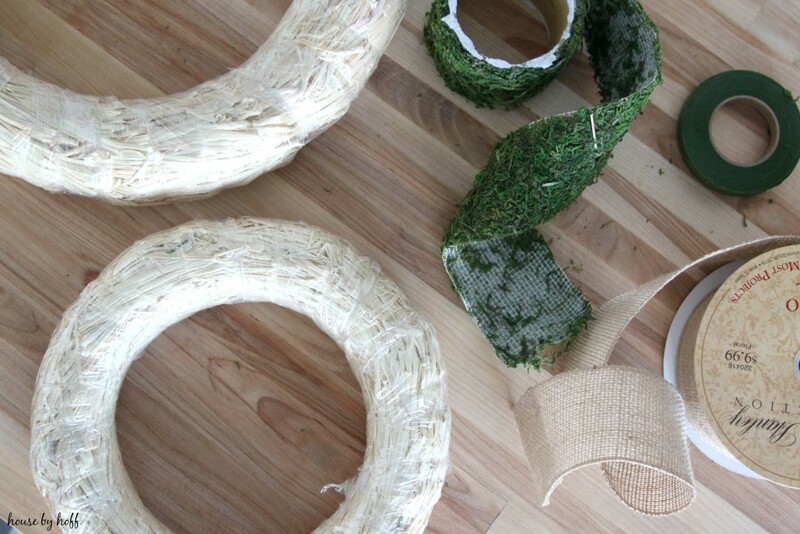 First, wrap the burlap “ribbon” (for lack of a better word), around and around the straw wreathes. I used sewing pins to secure the moss to the wreathes. 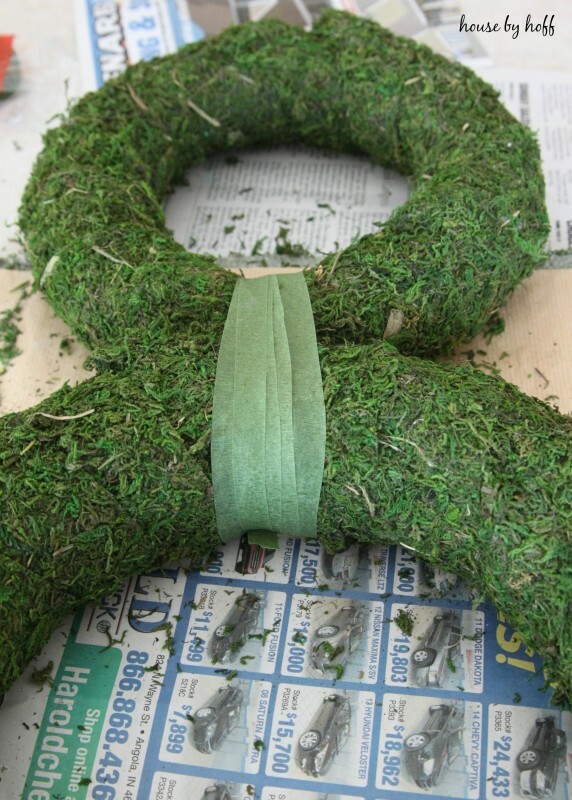 Once the wreathes were completely covered with moss, I attached them together using floral tape. After that, I added a layer of moss over the floral tape to hide it. Then I made a big burlap bow and attached it to the “neck” of the bunny. I was so into what I was doing that I didn’t pick up my camera to take pictures of these steps. Sorry! 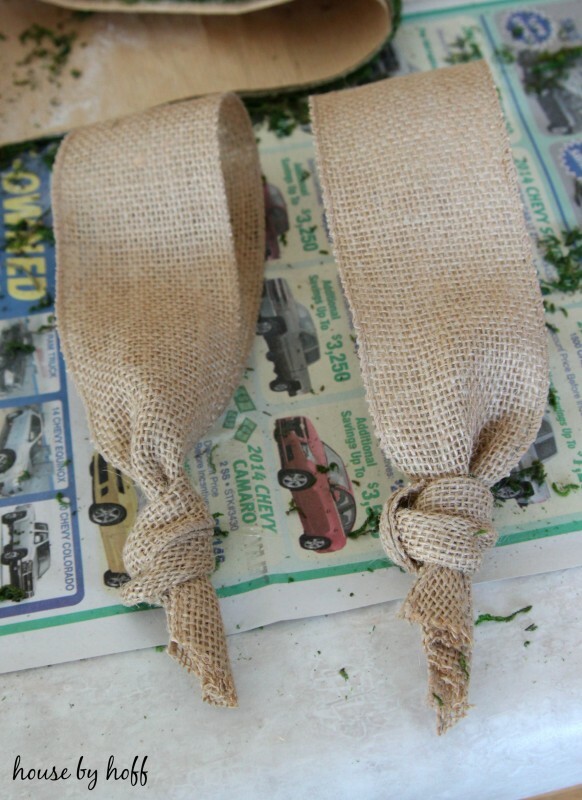 To make the ears for my bunny, I folded some pieces of the burlap ribbon and knotted it at the end. I used hot glue and sewing pins to attach them to the bunny’s head. I attached the bunny’s hydrangea tail using floral wire. 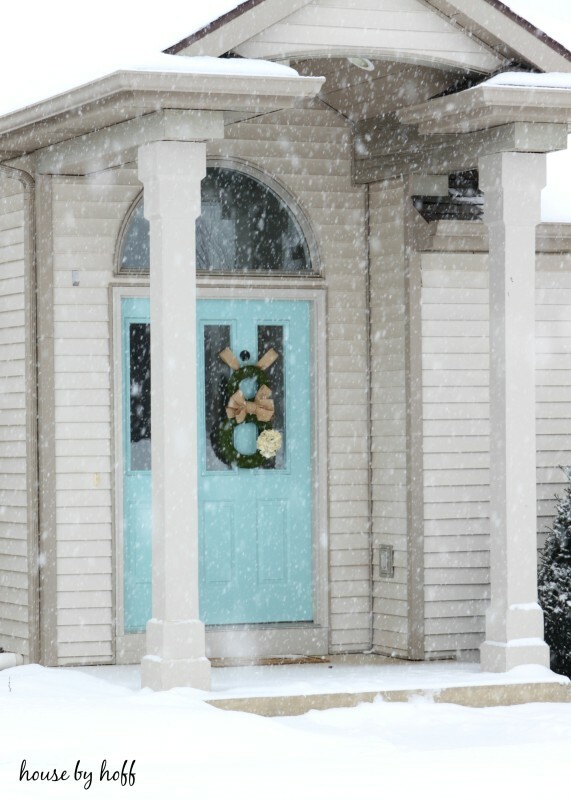 I hung my cute wreath on our front door this weekend…Am I the only one that sees the cruel irony here? So neutral & way adorable- Love it ! What a beautiful bunny wreath! My favorite is the hydrangea you used as the tail! Now if we could just get rid of the snow! Soo cute! I’m going to try this one. 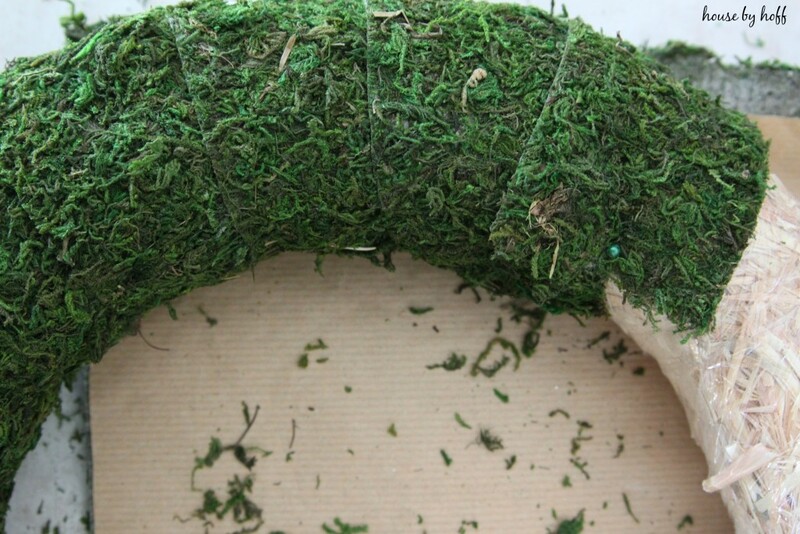 Do you remember the measurements of the straw wreaths you used? I’ve found all different sizes ranging from 8 inches to 24 inches. Thanks! That is so cute April!! It looks great on your door!! Lord willing and the creeks don’t rise Spring will come eventually!! I’m ready to! I need to find a spring/Summer wreath for my door(I’m not very crafty).Anybody got any ideas? This is so cute and clever, I love it! I made my Spring wreath, but haven’t hung it yet since we’re also having snow, sleet and rain! Ugh, is it Spring yet? I know, I almost considered taking it back down until the latest ice/snow/rain storm has passed! Grrr….We’re almost there! This is seriously adorable! Thanks for sharing, time to get my crafty on! 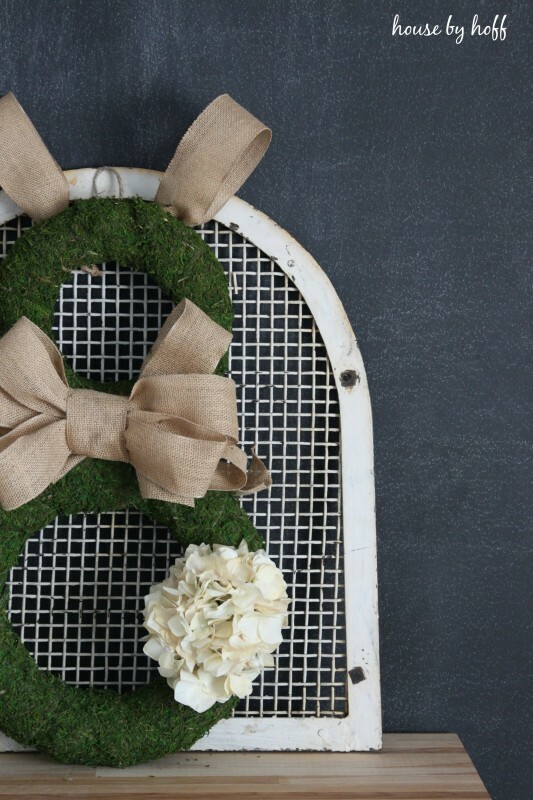 What a sweet wreath idea! And yes, I see it, we’re having a blizzard here today- yuck!